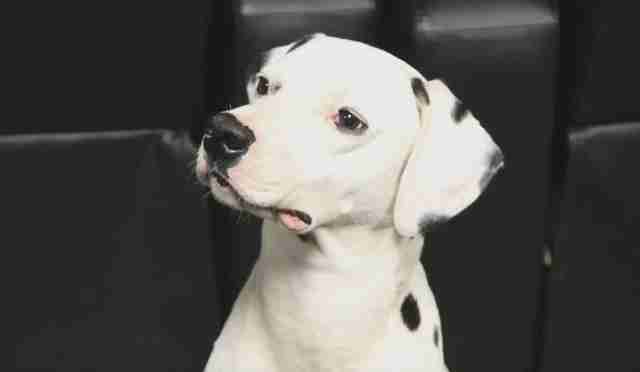 It's the dream of many a young person to one day grow up to be a firefighter - but this Dalmatian-mix pup just couldn't wait that long to be a firehouse dog. 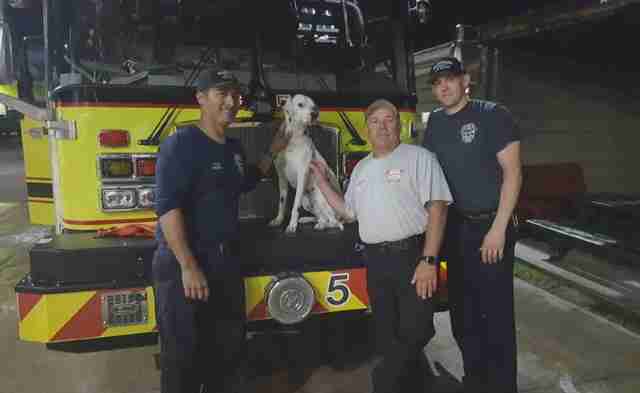 At around 2:30 a.m. Tuesday morning, firefighters from Florida's Hillsborough County Fire Rescue were arriving back at the station after responding to an emergency call when an unexpected guest decided to drop by for a visit. As the garage doors were closing, a mysterious dog no one had seen before ran inside. He quickly set about lifting their spirits. After all, that's any good firehouse dog's number one job. "He came in and immediately started loving on the crew," station spokesperson Corey Dierdorff told The Dodo. "His tail was wagging. It brought the mood of everyone up." The dog wasn't wearing a collar, but he was so well-mannered the firefighters figured he had to be somebody's pet. They searched out front in case his owner was near. They found no one. He was a little dirty, however, so of course they gave their new mascot a bath. ... or invite them outside for a game of fetch. Normally, there's a policy against dogs at the station, but they made an exception for him. This seemed like something meant to be. "How appropriate is that? 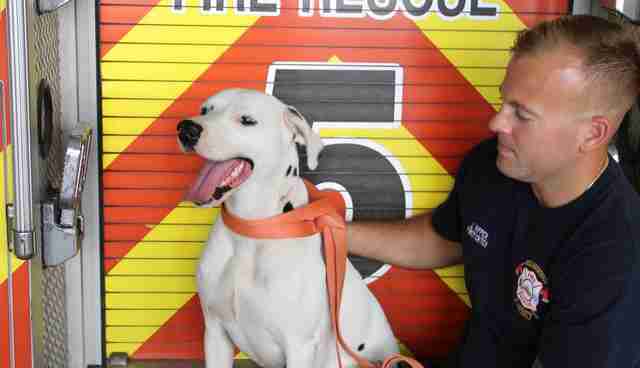 A Dalmatian walks into a fire station and acts like he's been there forever," said Dierdorff. "He made himself right at home. He fit in with the crew so well." He even made sure the floor stayed clean. As much as everybody loved having him there, they all knew it was their duty to find the dog's rightful owner. So, that afternoon they placed an announcement on social media asking if anyone was missing a pet. Not long after, a family responded that they had. 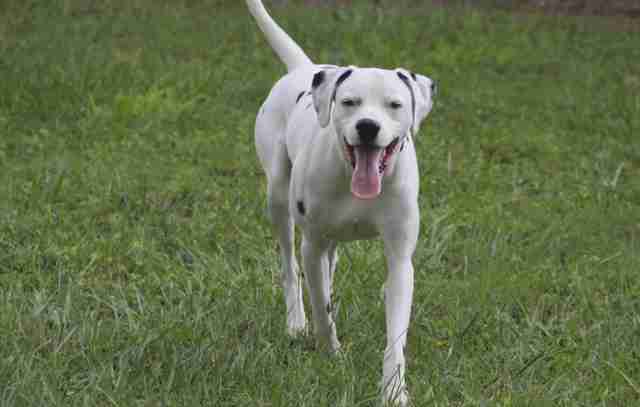 "There were a couple of marks on the dog that only the owner would know about, and they identified those," Dierdorff said. "We wanted to make sure they were the right owners." Turns out, the mystery dog was named Chico. He'd been missing for about a day, having wandered away from home about a mile from the station. 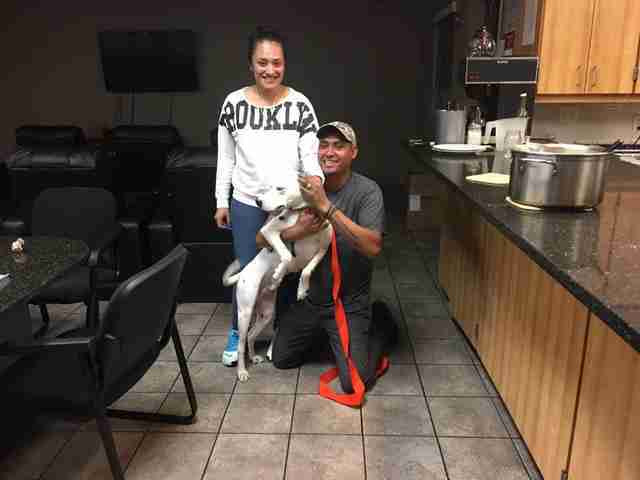 He reunited with his family that evening. 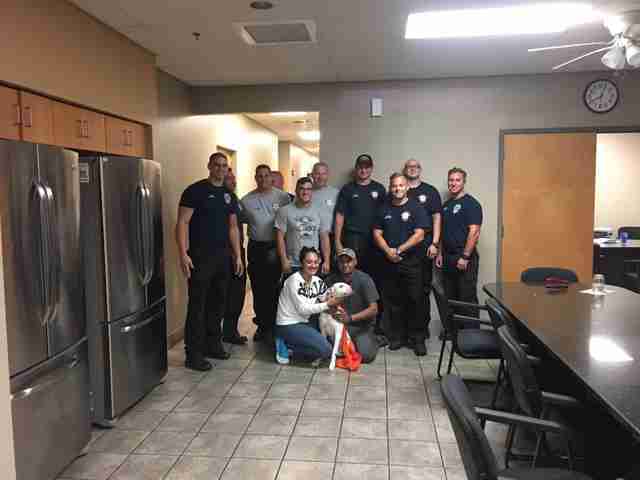 The firefighters were happy Chico was heading back home, but also sad to see him go. "It was bittersweet," said Dierdorff. "But I'm pretty sure there's a relationship starting there and that it won't be the last time Chico visits the station. He's welcome back anytime."